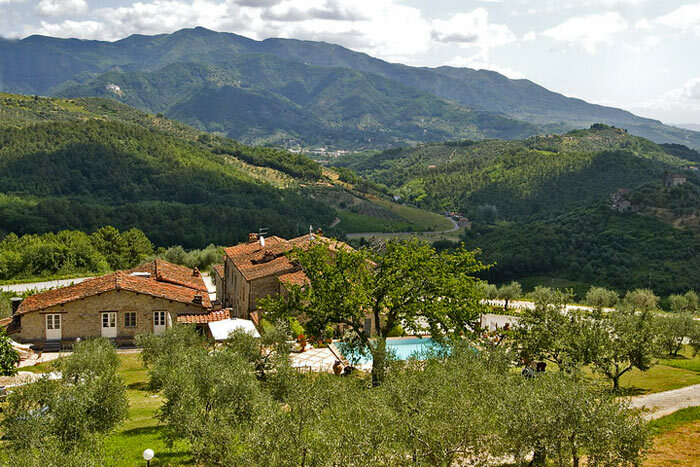 This beautiful wedding venue in Tuscany, located on top of a hill, overlooks an amazing view all the way down to Lucca. 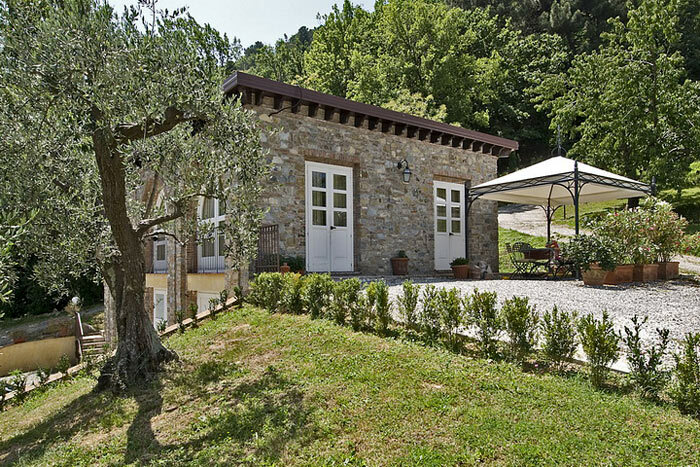 The hamlet, with the Villa turned into an elegantly renovated hotel, is made up of several buildings: a former Chapel, now a 2 storey suite, belong to the complex. 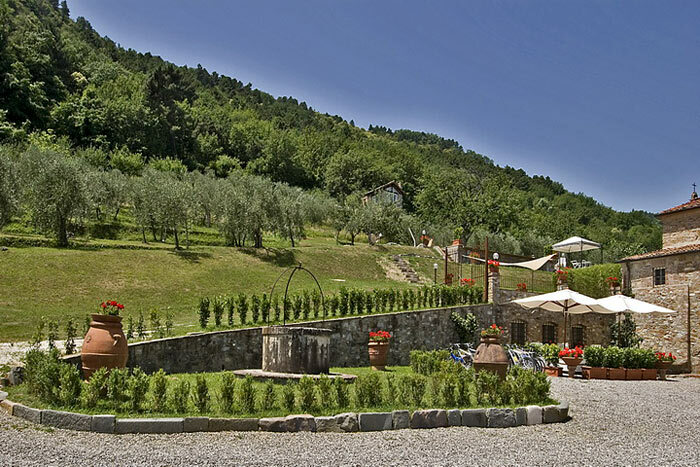 With its several green gardens on different levels and a pool overlooking the small mountains and countryside is a superb setting for small - medium wedding groups (20-43 wedding guests). 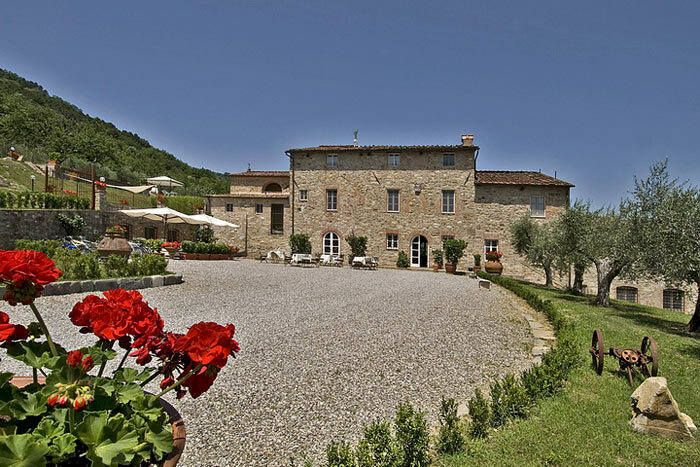 A simple though elegant wedding Villa in Tuscany, very unique and truly Tuscan. 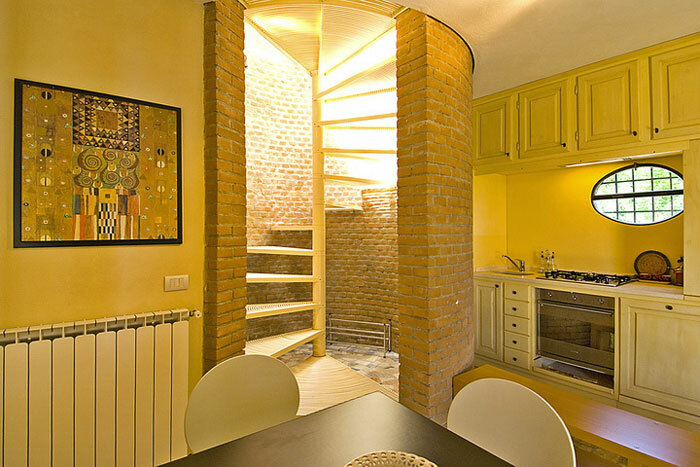 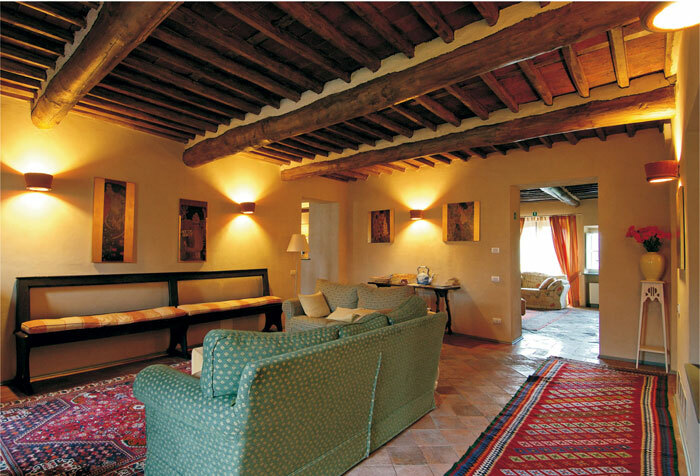 Rooms and independent apartments are decorated with the relaxed elegance of a Tuscan country house. 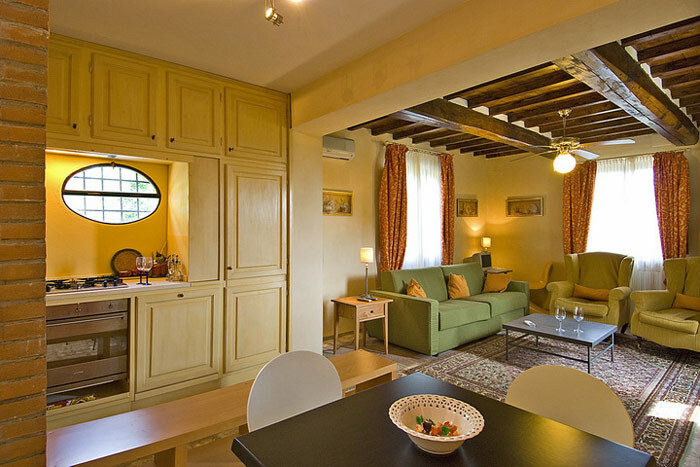 Suitable to accommodate up to 43 guests maximum. A carefully decorated restaurant serves a delicious selection of Tuscan recipes during your wedding dinner reception, based on fresh and local ingredients. 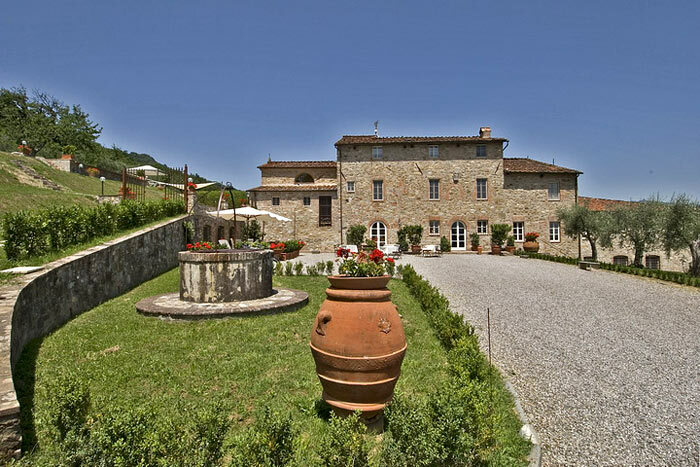 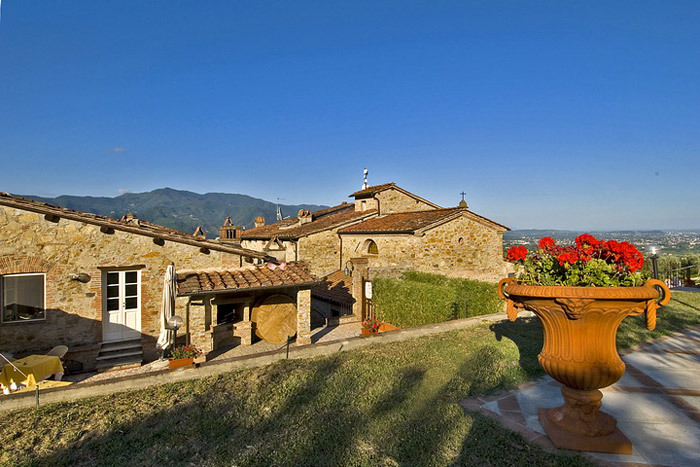 A perfect venue for your destination wedding in Tuscany. 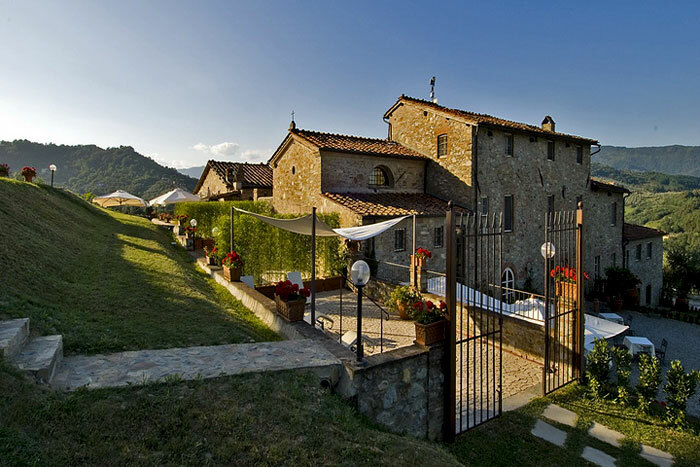 Religious weddings cannot be celebrated since the Villa is in the diocese of Lucca. 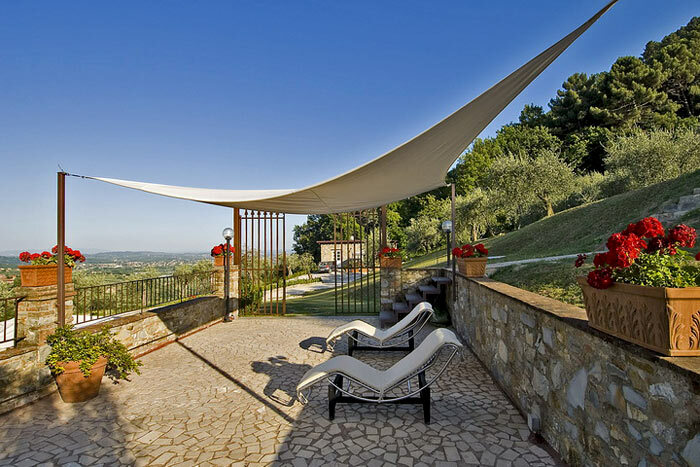 Should you choose a symbolic ceremony on the estate this could be celebrated on the courtyard of the villa or by the pool, both with a lovely view down to Lucca. 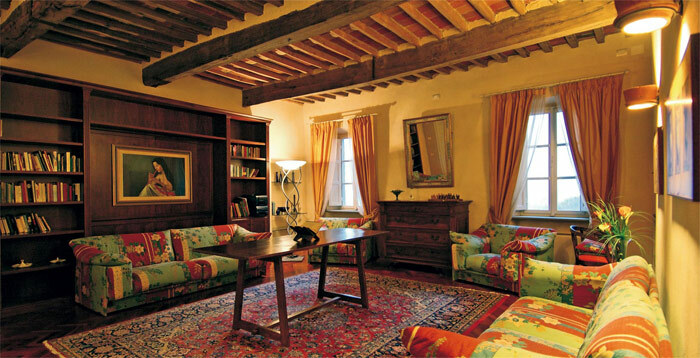 If you are looking for a civil wedding ceremony this can be celebrated in Lucca Town Hall. 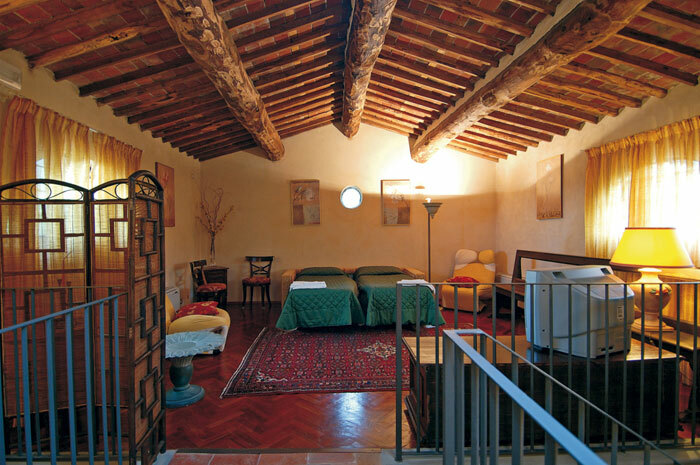 The Restaurant on site has wooden beamed ceilings and terracotta floors and is a wonderful choice for your wedding dinner reception. 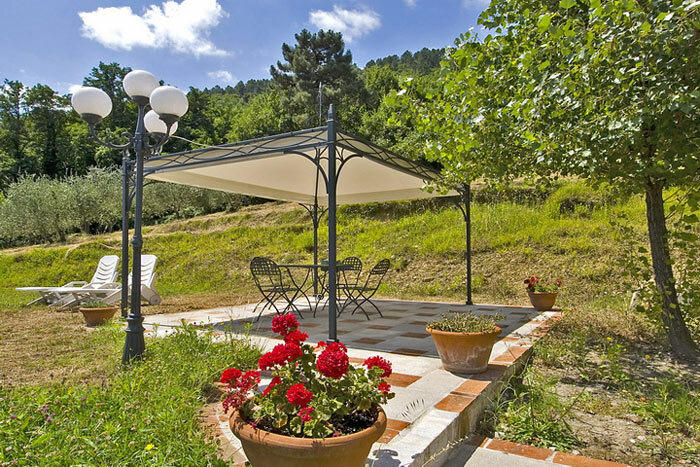 Otherwise it can be organised in the Courtyard of the Villa, enjoying the sunset on Lucca. 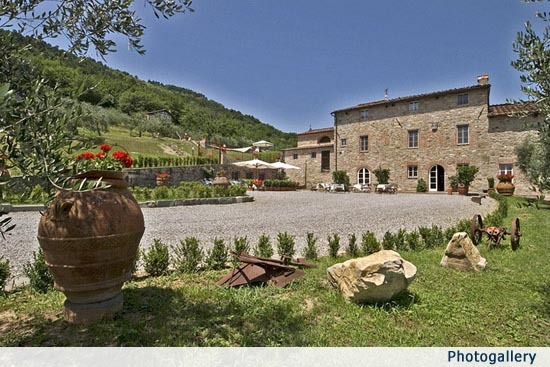 This may be a stunning location for your wedding aperitif reception. 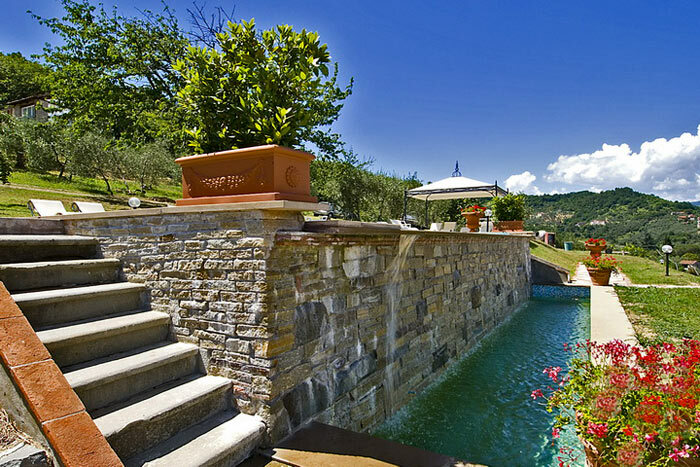 We, your wedding planners, will make your Italian dream wedding come true.